We are offering Thickener Additives to our client. It is available in powder form. It is in three colors which are Neutral, Gold & Silver for Embossed printing on paper. Using heat, which melts the powder sprinkled on print of the paper for raised print. It is used widely in Visiting Cards, Marriage/Invitation Cards, Letter Heads etc. - Prints on Films, Metals, Laminates, Plastics, Cloths, Ceramics, etc. Backed by rich industry experience and agro experts, we are engaged in offering superior grade range of Hitachi Fast Drying Inks. 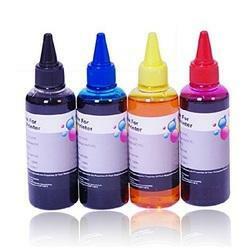 The offered assortment of ink are best in quality & have high value in the market. Do not downplay the role of fingerprint ink. We are using the best black ink as complimented by most of the finger print experts all over INDIA, to be as black as coal and glide like velvet. This ink paste is quids drying on fingerprint cards, but not on the ink slab. This not affected by extreme temperature changes. Specially formulated fast drying inks for marking on absorb able surface like carton, wood box, shippers, asbestos, plywood, drums, etc. It gives a very clear impression without smudging. Pack size : 1ltr and 5 ltr. 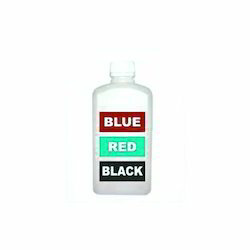 Being a customer oriented organization, we are deeply engaged in offering a wide array of Fast Drying Ink. Price Range: RS 500 - Rs 4500/Piece.